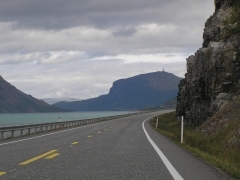 ﻿ Car Hire in Norway with cheap car hire. Norwegian car rental. Where to rent car in Norway, suited to your budget and needs, just book and reserve online. Hiring a car in Norway is a generally easy, safe, and straightforward process. Rental cars and rental car agencies are well organised and can be found at airports, around cities, within car dealerships, several railway stations, most petrol stations, and at typical transportation hubs. Nevertheless, it's always recommendable to reserve a car in advance, which should give you the best price too. Comparing offers from different agencies may sometimes reduce the costs significantly. Both gasoline and electrical cars are available, and the rental car market provides anything from small superminis, to convertibles, large luxury cars, SUV's, and other 4x4's, depending on your budget or needs. Avis - International company, organise car hire all over Norway as they cooperate with car dealerships. Bislet Bilutleie - Bislet Car Hire is a car rental company in Oslo, that rents out anything from convertibles to vans and family cars. Budget - International company, also with a good portioned rental fleet in Norway. E-Leiebil - E-Rental, an eletrical car rental company. Website is in Norwegian, but they do speak English. 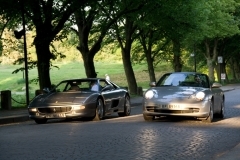 Europcar - European car hire company that now also offers Internet in their rental cars. The Internet service is even portable should you need Internet outside of your car. Hertz - Old international company, well established around the cities. SIXT - Old international rental company centred mainly around the cities. A good tip is to look for car rental offers with a price guarantee. That way you will be sure to get the lowest price available at any given time. 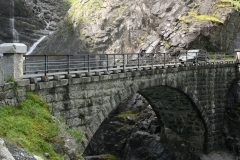 Try searching for: "Cheap Car Hire in Norway"
Norwegian route planner with road maps and directions is available here.